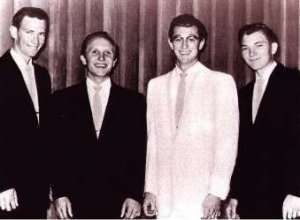 While on tour, on their way from Memphis, TN to Tulsa, OK, the Crickets make a stop on Saturday 28 September 1957 in Oklahoma City. Norman Petty had just performed with his trio at the US Airforce base in Oklahoma City. 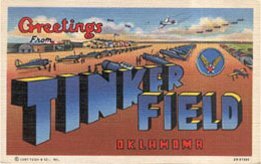 Norman had taken some portable equipment from Clovis to the Airforce base in Oklahoma to record some songs. In the Officers Club Lounge of the base Buddy Holly, Joe B. Mauldin, Jerry Allison and Niki Sullivan recorded: "An Empty Cup", "Rock Me My Baby", "You’ve Got Love", "Maybe Baby". 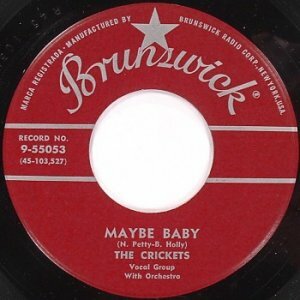 Backing vocals of the Picks were added later in Clovis and all four songs were released at the time on the Chirping Crickets album. Film footage exists of this day in Oklahoma.